What Do You Think About These Natty Uniforms? So, it was announced a few weeks ago that Oregon chose to go with the all green uniforms for the Rose Bowl, since the three other teams in the College Football Playoff all shared red as a common color. Most people expected Oregon to go with some mix of green and yellow for its uniforms in the National Championship against Ohio State next Monday. If you haven’t seen the pictures of the uniforms that Nike designed for both teams, well, here they are. It is a big statement by Oregon to go into this game with a uniform that does not don either of its school colors. The uniform also doesn’t feature the recognizable yellow “O” that has made Oregon so famous, any of the crazy color combinations in uniforms we’ve seen week in and week out, or even the throwback renditions commemorating Kenny Wheaton’s infamous pick-six from 1994. Either way you look at it, the Ducks could have gone with other options in this game. This past season, and in years past, Nike’s partnership with Oregon has proven strong. 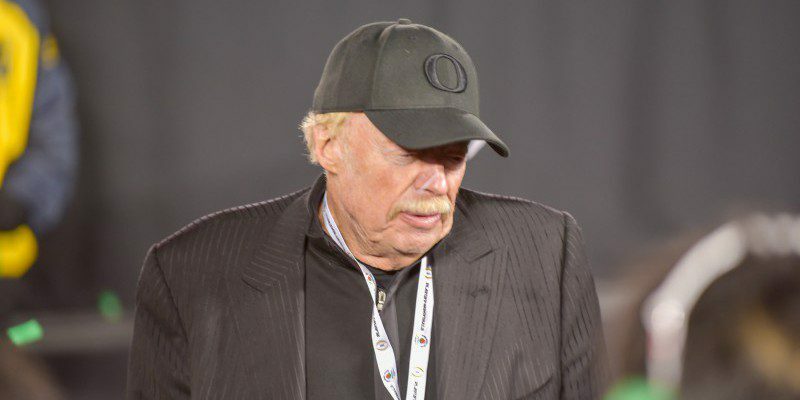 Phil Knight and staff, even though they sponsor Ohio State as well, had a surprising plan for Oregon this year. Whatever their plan may be, they will be happy knowing that they sponsor both teams in the National Championship game. This, by far, will be the busiest week in the history of University of Oregon sports. Stay tuned to FishDuck.com, as we will have everything you need in order to get prepared for the big game next Monday.